As Senior Vice-President and Chief Marketing Officer, Heidi is a key driver of the Pacific Blue Cross mission to improve health and wellbeing in British Columbia and a spokesperson for the organization. She oversees branding and marketing strategy, new product development, individual membership, travel insurance and public relations. 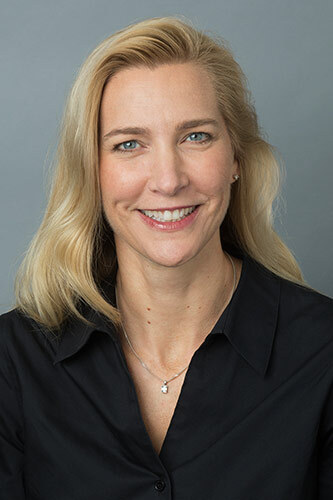 Prior to joining Pacific Blue Cross, Heidi spent 14 years as a marketing leader with global packaged goods giant Unilever NV, where she managed world-class consumer brands such as Dove, Knorr, and Becel. Her international experience is complemented by her knowledge of local markets. Most recently Heidi was Senior Vice President and Chief Marketing Officer for the British Columbia Automobile Association (BCAA), overseeing Membership and Insurance. Heidi speaks three languages and holds a Bachelor of Commerce degree from McGill University and a Master of Arts in European Studies from the Katholieke Universiteit Leuven in Belgium. When away from the office, Heidi is actively involved in the community as both a volunteer and mentor. She sits on the Campaign Cabinet of the United Way of the Lower Mainland and is co-chair of the Senior Executive Program at the American Marketing Association BC Chapter. Heidi is a mentor to MBA students at the UBC Sauder School of Business.